They came from the East. They were called wise men (the Magi). They could have been kings or of noble rank. Whatever the case, they were able to make the long journey to Jerusalem to see the king that had just been born. They had seen his star in the East, they said, and had come to worship Him. After an unfruitful visit to King Herod, they commenced their search and the star that had led them to Israel appeared again till it stood over the stable where the child was lying in a manger. You know the rest of the story or you can read it up in Matthew 2:1-11. But how does it relate to you and me? There are things we are searching for: precious things, wonderful things, things that may be rare and costly, even things that may have been declared impossible to find. It may be a stable and closer walk with God, peace at home, the salvation of a loved one, a faithful spouse, the fruit of the womb, healing, financial breakthrough or success in our career. Some of us have travelled far and wide in search of these things and some of the places we had hoped to get help failed us like Herod did the Magi. We have committed resources and effort but we haven’t seen the results we hoped for. As the star led the Magi to see Jesus, God’s greatest gift to humanity, so may the Holy Spirit lead us this Christmas and in the coming year to encounter our dearest blessings. May we have cause to rejoice as the wise men did and say, “The LORD has done it. Faithful is His name.” Amen in Jesus’ name. Very good advice! Thank you and have a good time, Joy! Beautiful thoughts and prayer, Edith. May you and yours have a blessed and happy Christmas Season! Thank you so much, Gloria! I wish you the same. Bless you, Shura! Merry Christmas to you and yours in Jesus' name. Amen!! Even as we enter the new year may men and women that have been destined to favour us, see our star and search for us till they find us and favour us in Jesus name. Amen. Amen to that beautiful prayer. Bless you, Geraldine! It is such a nice prayer. Above all, it is timely. I do hope that youth out there will find time to read and let the message sink into their heads. We belong to an anxious generation you know. Most times, we travel very far just to seek blessings. We doubt the sovereignty of our saviour. We assume he is inaccessible, even when he has promised to always be there. He promised, "I will be with you always even unto the end of the age." Bless you, Gideon! I was surprised when I saw some youth that turned Christmas celebration to "beer drinking" day. The fact is that youth of this generation needs re-orientation and prayer. Hopefully, if greater percentage of youth can be re-oriented and be prayerful, things are going to change positively. Reminds me of how foolish we are. The bible records that the Magi were the wise men from the east. They were three, the wisest of their generation. But they humbled themselves, made a long journey to Jerusalem just to adore a newly born baby. How many of us these days can do something like this?? Not many, I guess. Bless you, Collins! And bless you too, Chidi! just as the Magi, may the holy spirit lead me Amen..
Amen to that prayer in Jesus' name and thank you so much. You are lifted in Jesus' name. If only we would bend our knees in prayer asking God for a sign, things would be much better in celebrating Christ's birth. But we prefer to be led by new clothes, chicken, drinking, looking good as a way of celebrating our new born king. Going extra miles to get all these things, we tend to walk in Herod's path and not following the star that led the magi. 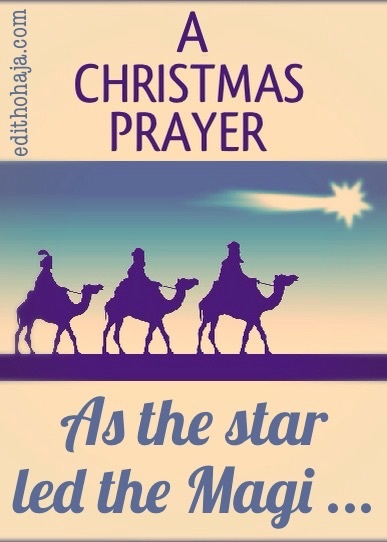 The Magi were able to trace the lord because they focused and followed the star. For us to reach our own destination, we must focus and follow our lord Jesus Christ, because he is the way, truth and life. any journey we embark on without him sure will be a waste of time. 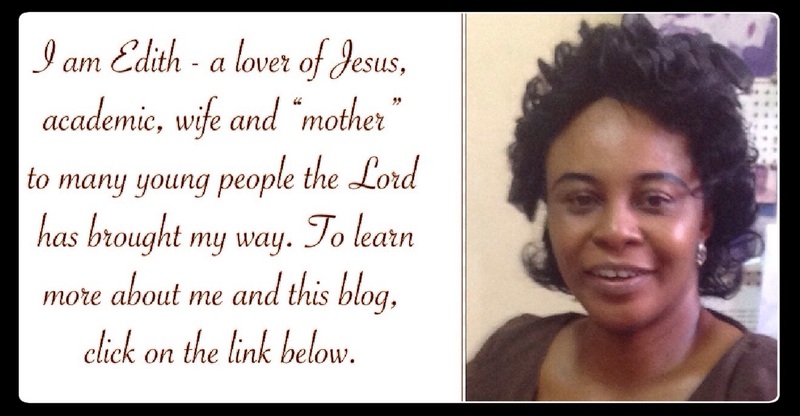 Amen to your prayer of faith Ma. I believe something big and wonderful is coming our way and may God lead us to it as he led the Magi to baby Jesus. Amen, this post really brings to our knowledge that all that we struggle to get, all that we are looking for in this world has been given to us through Christ Jesus, it is just for us to recognize and acknowledge that and we will have every reason to rejoice. I pray that God's unmerited favor (grace) will help us to know that what we are looking for far away is in our finger tips. Inspiring post ma, thanks! Amen and amen,Ma. we should remember that the Magi in their search for the Saviour never knew the way but trusted God to lead them and not on their own wisdom or they would have missed the right path to finding the Saviour. in whatever we seek for in life, we should always look up to God to lead us and we will always attain our desires as long as they are in line with God's plan for us. AMEN! I receive this prayer with all sincerity and optimism in the name of the father, and of the son and of the holy spirit.Amen. God bless you ma for this wonderful and seasonal prayers and He will visit your family this year 2018, Amen. Amen. and may people also seek God in truth and spirit cause that is the only way we can truly be guided by him. As we live our daily lives, I pray Lord to give us the wisdom to understand where he is leading us, so that we would all fulfill our purpose of our lives. For I know the thoughts that I think towards you, thought of peace and not of evil, to give you an expected end. The essence of Christmas is that we have God with us through the birth of Christ and the question remains, Is God with us? my Christmas prayer is that God will continue to be with me and my family as His presence scares evil away. Because God have everything, I believe that by the way that He gave the stars to the three wise men to find Jesus, He will also give us something that will help us find our heart desires.